Entrepreneurs have a set of skills and characteristics that help create not only good ideas, but also good business. Leadership coaching can help develop these skills and characteristics. I strongly believe that true entrepreneurs are a special breed. They are creative and driven, and often single minded. While that may work to get a new product or business off the ground, it does not always work in the long run to build a business and to keep it running smoothly. The entrepreneurs who are successful also have a set of skills and characteristics that help them build and sustain relationships that build business, and they have the leadership skills necessary to move their team forward. While entrepreneurs may be born with high levels of creativity and drive, the leadership skills that help transform good ideas into good business often need to be honed and developed. 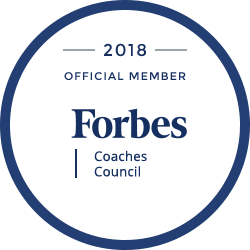 A good executive coach can identify areas of weakness, and can help develop these areas so the entrepreneur has the best possible chance of success. 1. Resilience. Good entrepreneurs face adversity and failure with great flexibility. They bounce back quickly and look at each attempt as a learning experience. Instead of being frustrated, they are urged to find even better ways to do things. 2. Self-awareness. Good entrepreneurs know whom they are, where their skills lie, and how what they do impacts other people. They are able to hire individuals who have skills they do not have so they have a good, well-rounded team. 3. People skills. Good entrepreneurs have the people skills needed to draw people in both as workers and as customers. They are enthusiastic and engaging, and are able to influence people to want what they are making or selling. 4. Development skills. Good entrepreneurs are great at developing themselves and others. They recognize that they will need new and different skill sets in their business in order to grow, and they seek to obtain those skills in themselves and their staff. 5. Risk taking. Good entrepreneurs are not afraid to take risks. They do not take wild risks, but think through consequences and opportunities carefully. 6. Execution. Good entrepreneurs are great at execution. They get the job done and get it done well. They are able to engage others appropriately to take lead and support roles. 7. Adaptability. Good entrepreneurs can quickly adapt to changing situations. They see both the big picture and the steps needed to get there. 8. Purposefulness. Good entrepreneurs can be single minded about their product or service, yet still are able to keep other things in perspective. They have a goal and purpose, and drive toward it while bringing other important things along too. 9. Decisiveness. Good entrepreneurs know when to make decisions. They have learned when they can make good decisions without having all of the possible information. They do not waste time trying to find irrelevant data. 10. Collaboration. Good entrepreneurs know when and how to collaborate with others. They do not feel so much ownership that they cannot share. They know how to get the right people with the right skills involved at the right time. 11. Role Model. Good entrepreneurs are great role models. They know they have a different skill set from many others, and they are willing to share their knowledge and experiences. They take time to mentor others and are aware of how their actions and decisions impact others. 12. Innovation. Good entrepreneurs keep up with their field and are willing to be innovative and to try new things. 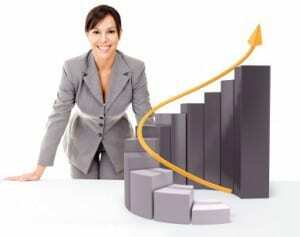 They are often thought leaders in their organizations and areas of expertise. Great entrepreneurs are able to engage in entrepreneurialism as well as build business. They are multi-dimensional and skilled in resilience, self-awareness, relationship building, people and business development, risk taking, and execution. To learn more about how leadership coaching can help build better entrepreneurs at your organization, contact TurnKey Coaching Solutions at 281-469-4244.